Last seen for £679.00 at JewelStreet. 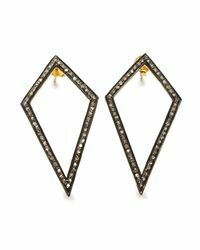 See more Black Betty Design Earrings. 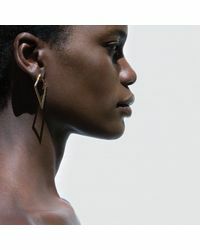 The Diamond Kite Earrings come from Black Betty Design, a Cape Town-based jewellery brand. It's lead designer, Kristin Weixelbaumer, draws her inspiration for her pieces from new experiences and nature's imperfect beauty. All the brand's jewels are expertly handcrafted out of ethically sourced precious and semi-precious stones which are suspended in treasured metals. 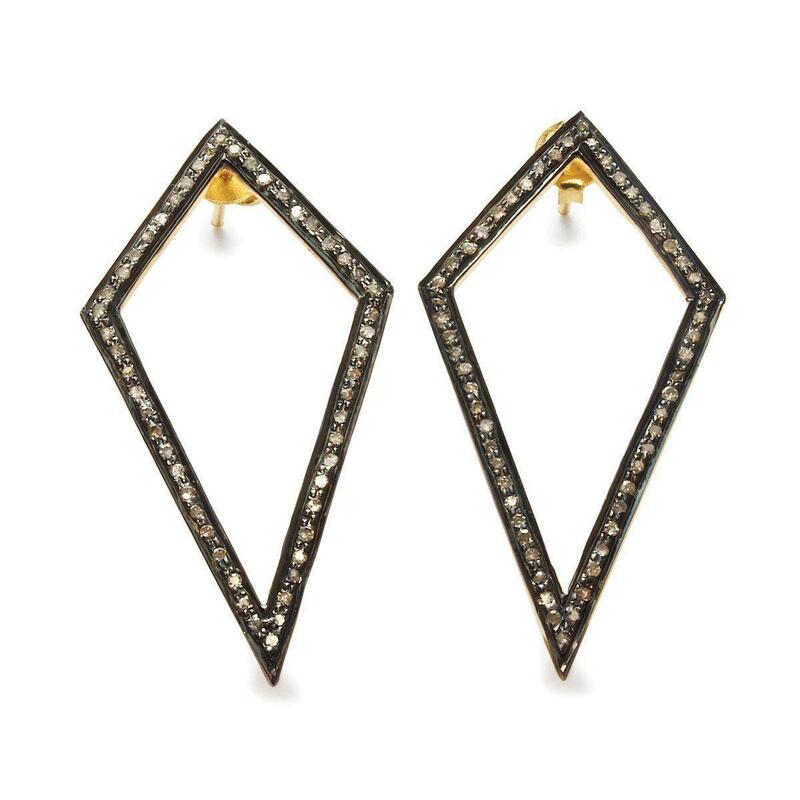 These are kite shaped earrings with diamonds, black rhodium and 18kt gold plating. A piece from the Onyx Collection where inspiration is found in the notion of African geometry. 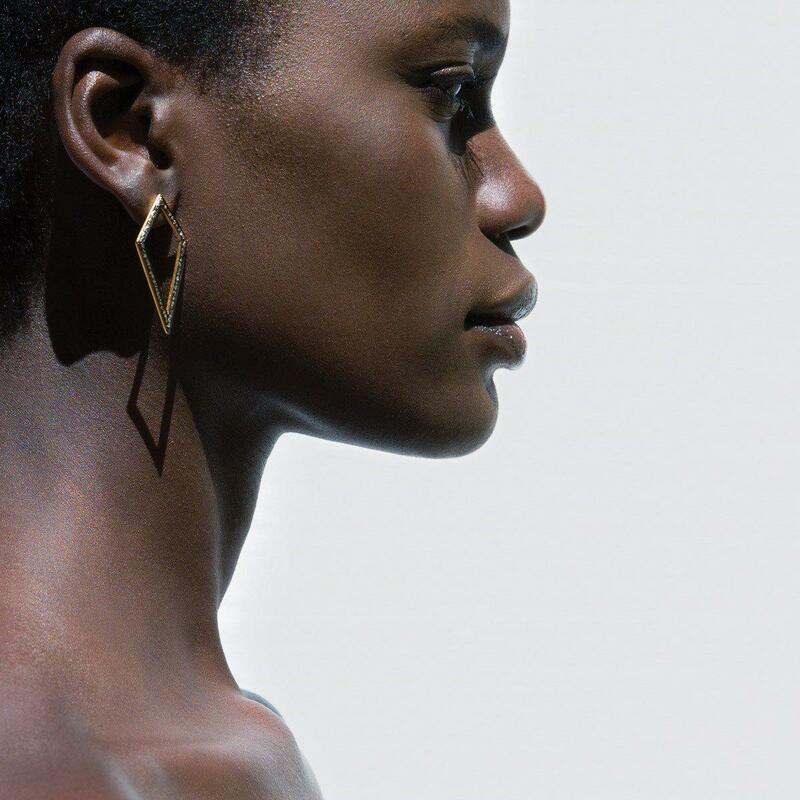 From the cities over-arching skyscrapers, cape-fold mountains and graphic patterns of the continent's design, the Onyx Collection is an expression of the African fertile land and it's evolving shapes. All stones are hand cut, individually chosen and ethically sourced.